It all started when Becky Albertalli, author of “Simon vs. The Homosapiens Agenda,” and Adam Silvera, author of “More Happy Than Not,” contacted each other after their agent sold both of their debut novels within days of each other. As it says in the novel’s acknowledgements, the two loved each other’s books. 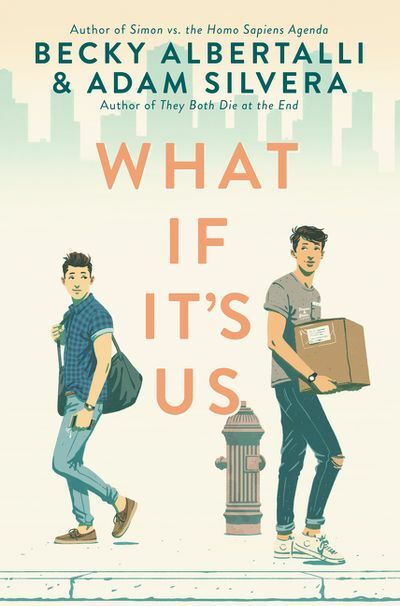 Their mutual appreciation prompted their collaboration on the young-adult fiction novel “What If It’s Us,” which draws readers in to inevitably fall in love with the characters and become invested in the plot. “What If It’s Us” follows the lives of two boys living in Manhattan: Ben Alejo and Arthur Seuss. Ben is a native New Yorker who’s in summer school while trying to get over his recent break-up with ex-boyfriend Hudson. Arthur, on the other hand, is used to living in Georgia, but is spending his summer in New York to intern at his mom’s law firm. Both their lives are drastically changed when they run into each other at the post office. Although neither party is able to get the other’s name or number, they do their best to search for each other in the lively, populated metropolis of New York City. The concept is intriguing, and the authors expertly craft the plot. Every last bit of the story is handled with care, as exemplified by the fluid movement from one scene to the next. The book is a page-turner with nerve-racking lows and soaring highs that made me smile and laugh out loud. Albertalli and Silvera also hook readers in with emotional appeal. It’s easy to fall in love with the main characters from Arthur, the quirky, nerdy, lovable boy from the South, to Samantha, the girl with expert Instagram-stalking skills. Readers will become overly invested in Arthur and Ben’s well-being. The dialogue is genuine; it almost feels as if you personally know the characters by the end of the story. The book is also expertly crafted with bursts of humor and quirkiness. The imagery in the story is so vivid that it feels as though you’re standing in Times Square. The two authors’ writing styles are indistinguishable from one another, leaving the flow of the story completely uninterrupted. Despite the flow and realistic emotion and settings in the story, the novel is not without its flaws. Much of the story focuses on how the universe works in funny ways to make things happen, but some plot points come off as too coincidental. Especially at the end of the story, the way in which some of the subplots are wrapped up seems illogical and highly unrealistic. These ultra-coincidences take away from the credibility of the book — some points in the plot could use deeper explanation. Even though I am not a fan of realistic fiction, this book converted me. I found myself staying up late reading the book, unable to put it away for the night because of how addicted I was to Arthur and Ben’s story. The entire book was heartwarming and had me invested in the well-being of all of the characters. 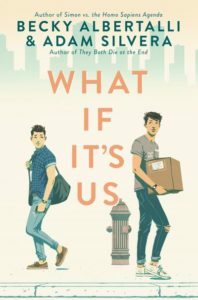 Despite its flaws, “What If It’s Us” is a beautifully-written novel that’ll transport you to another realm of romance, hope and happiness.